Male Douglas fir glowworm, Pterotus obscuripennis. 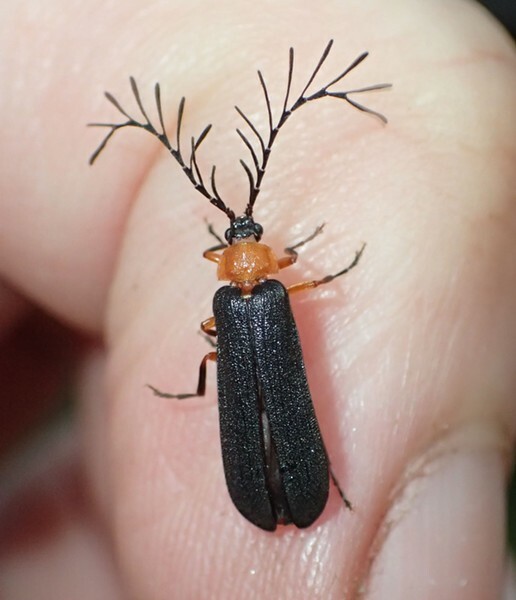 This time of year, if you're out and about in the late afternoon and a small black beetle trimmed in orange, sporting an ostentatious set of ferny antennae lands on your arm, don't be alarmed. It's only a male Douglas fir glowworm (Pterotus obscuripinnes) looking for love. They land and fan the air with that fancy headgear, scenting for female pheromones. For their part, the wingless females send out a pretty powerful attractant and then guide their beaus to their precise location with a glowing tail end. Both sexes of larva can glow but when they reach adulthood, the males lose that ability but gain their feelers and wings. This species is an extreme example of sexual dimorphism (the boys and girls do not look alike). The first male I saw this year was a clue that the females might be out and glowing. I was not wrong and spotted half a dozen that night under my little patch of redwoods. Another female glowworm, Pterotus obscuripennis. Our local glowworms are members of the family of fireflies, lamprydiea. Another member of the family you may see at this time of year is the California firefly, (Ellychina californica) or one of its very close relatives. 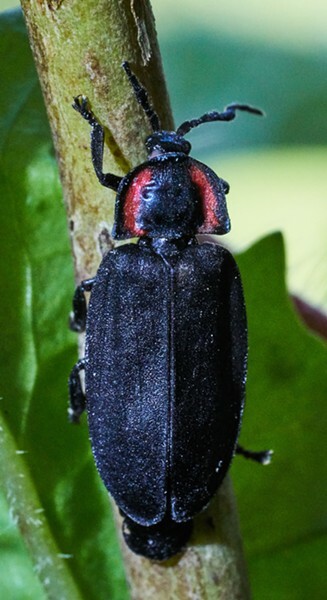 A modest sized beetle with two red marks on its pronatum (the shield shaped structure covering the thorax behind the head and in front of the wings). 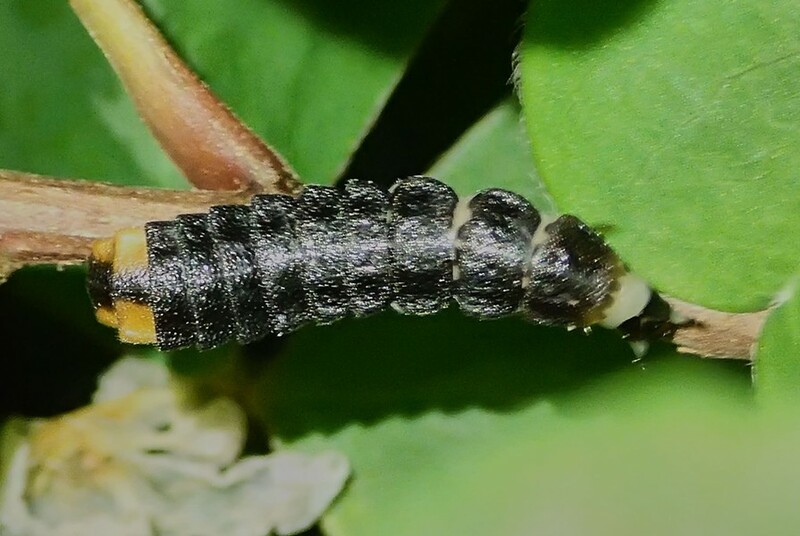 Although it cannot glow, it is believed that the larva, like those of Pterotus, can. Non-glowing California firefly, Ellychnia californica. While I was researching this I stumbled across a Los Angeles Times article from 2015 about a new species of firefly discovered in Southern California. There are evidently several species that live in our state but they are very rarely identified, most likely because they are not very common and not as bright as their Eastern cousins. My mom said she had seen quite a few of them in Marysville when she worked there during the Great Depression. I suspect they succumbed to the massive use of insecticides in such a heavily farmed area throughout the age of DDT. No one I know has reported any in a very long time from that area.